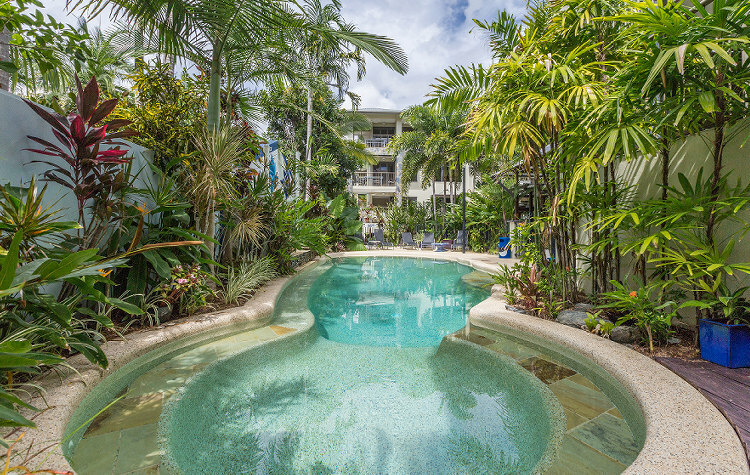 featuring a resort style pool, barbecue and entertaining area. 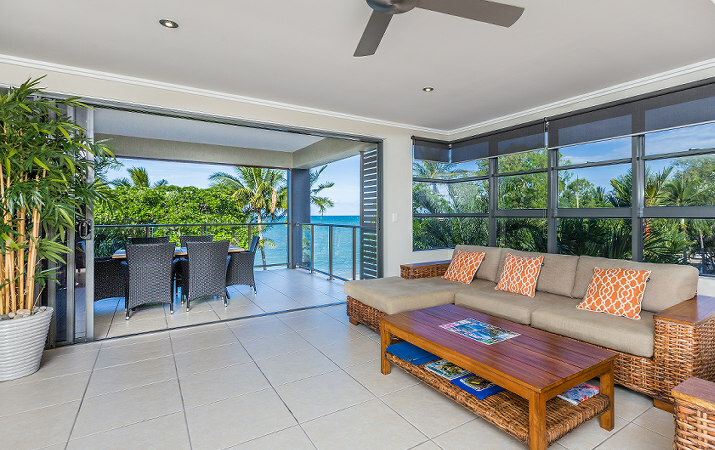 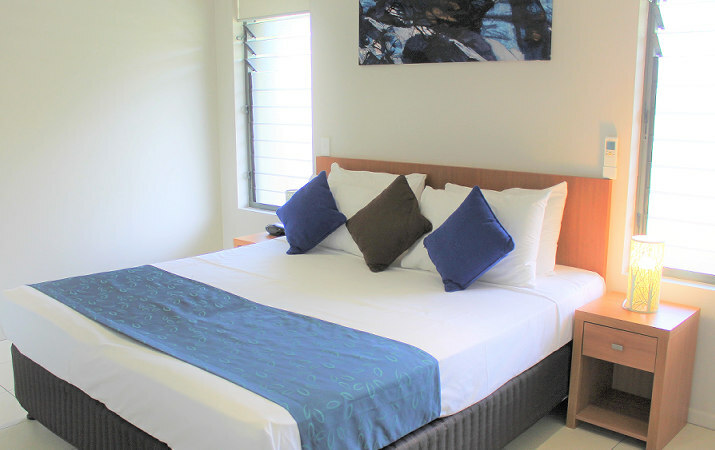 Choose from our Deluxe luxury apartments right at the beachfront end with stunning views of the Coral Sea, or our contemporary Classic apartments that are located back from the beach and provide attractive mountain and tropical garden views. 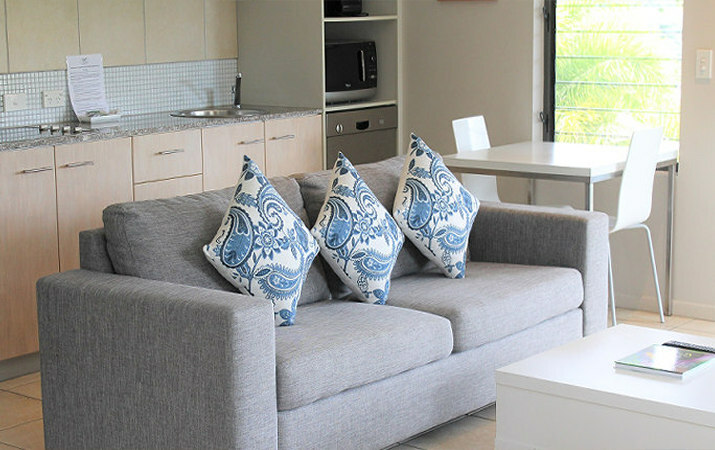 All apartments are within easy walking distance of local restaurants, cafes and convenience shopping. 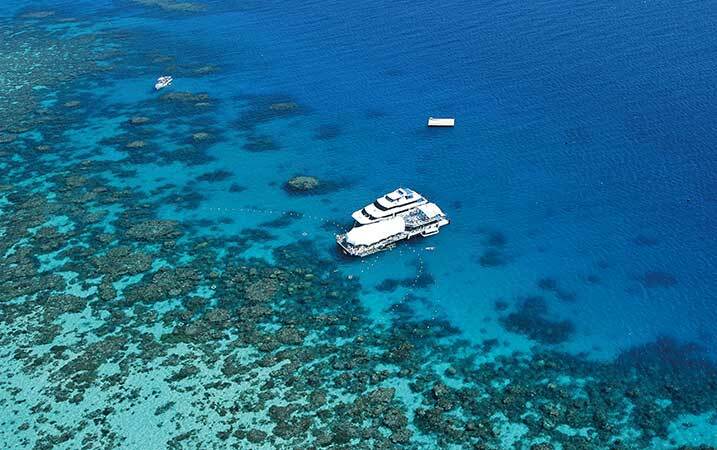 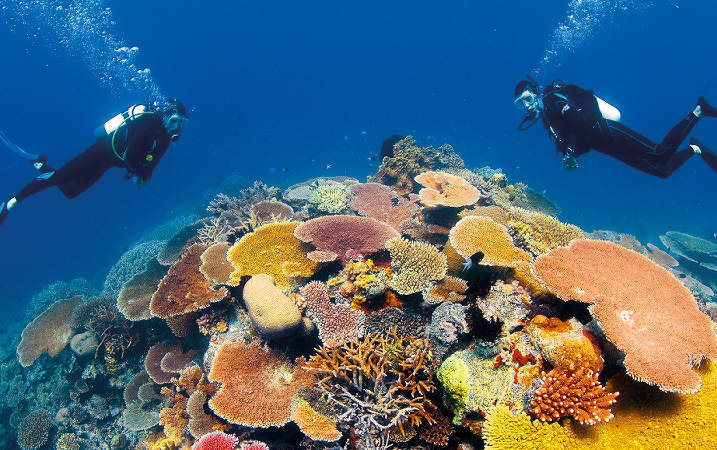 from the Rainforest to the Great Barrier Reef. 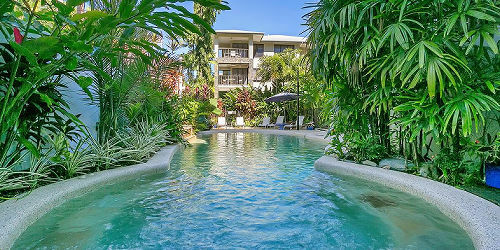 A walk in resort style pool with its own waterfall as well as a spa to relax in after a hard day in paradise. 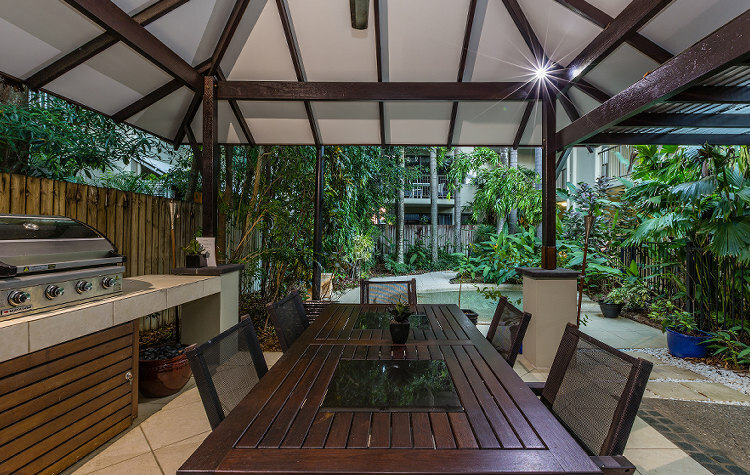 A generously sized BBQ and eating area under a pavilion with a kiddies pool right beside it. 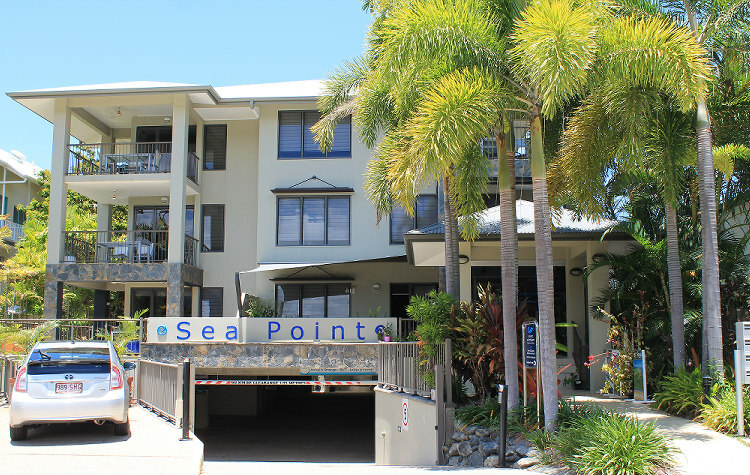 Just steps to beautiful Trinity Beach with children's playground, BBQ & eating areas, walking path. 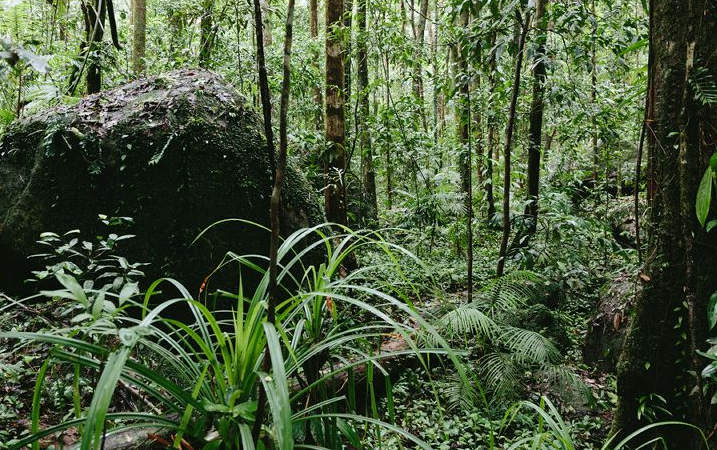 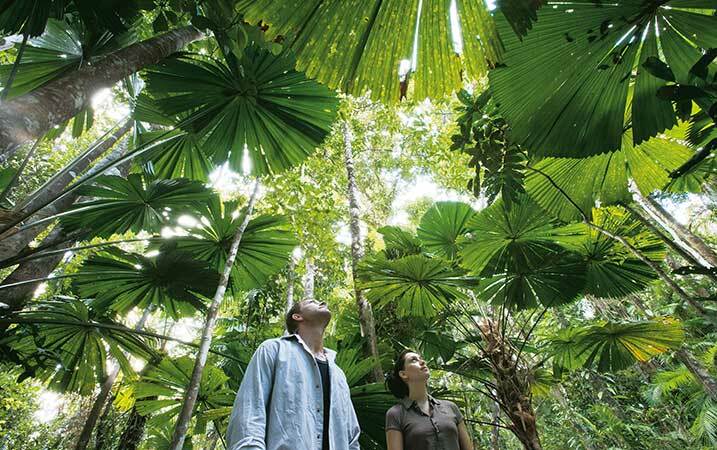 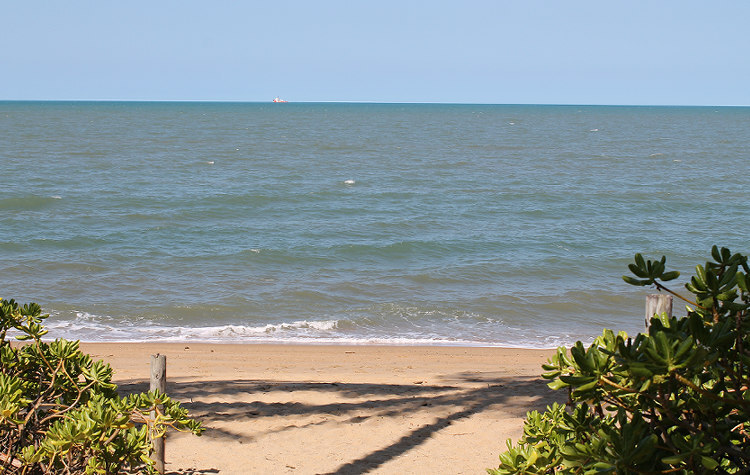 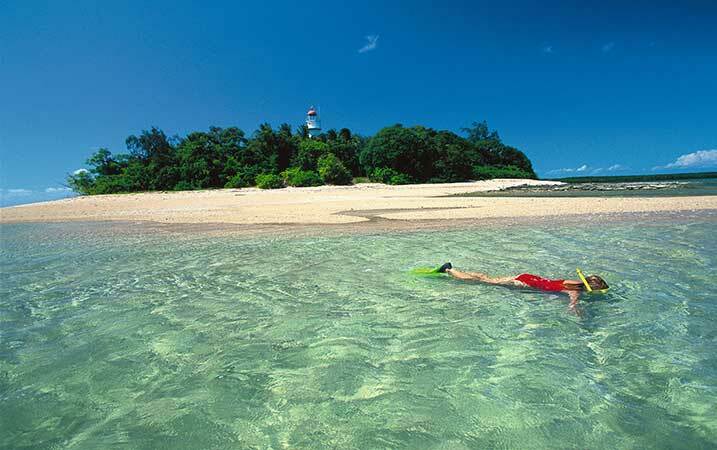 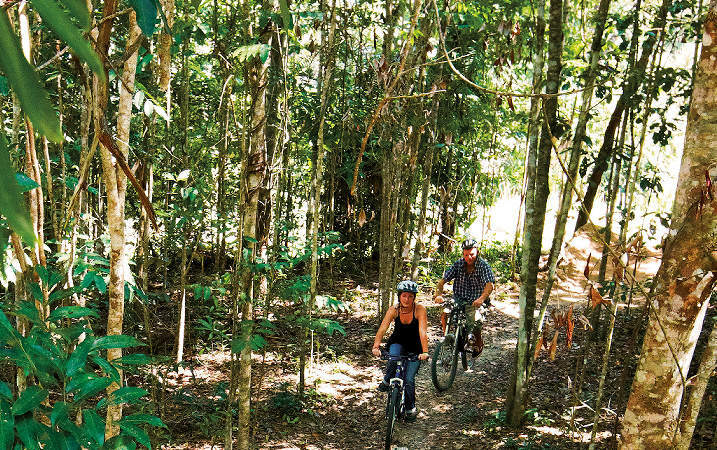 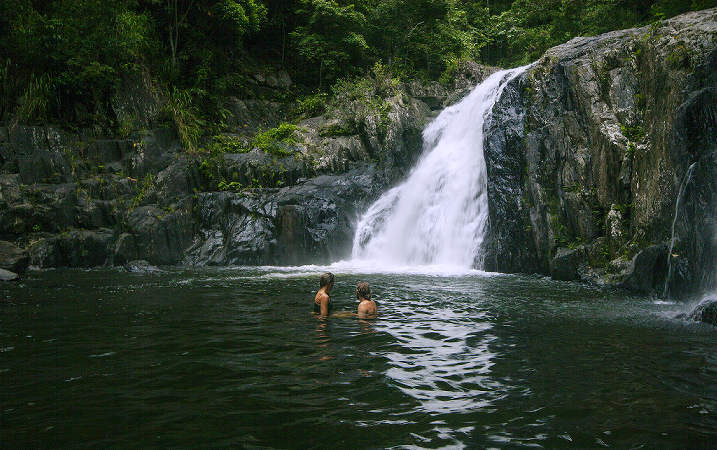 to explore the many attractions Tropical North Queensland has to offer. 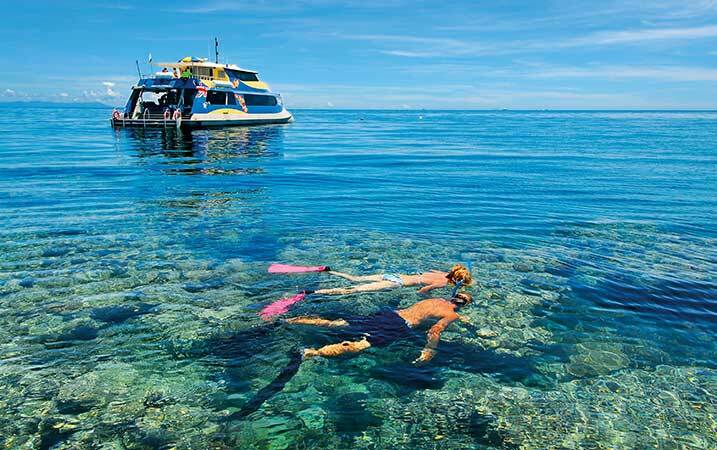 Our friendly staff are able to assist you with advice on tour selection and arrange bookings at no additional charge.